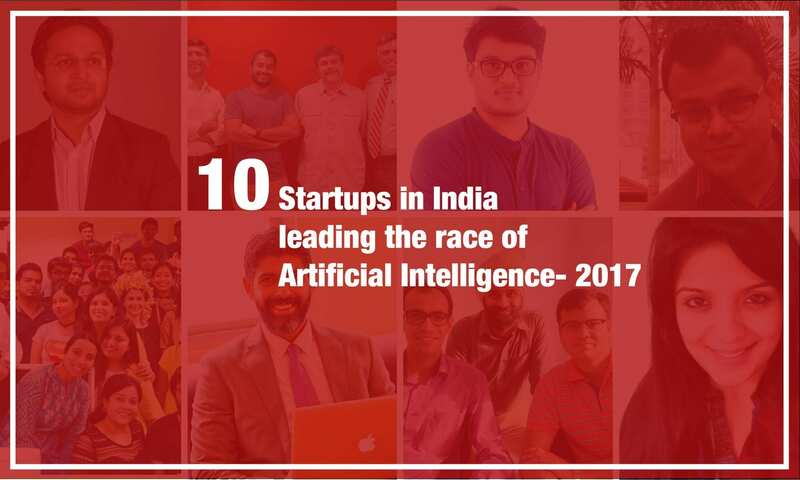 Here is the fresh list of 10 startups in artificial intelligence and machine learning that are leading the race in the year 2018. 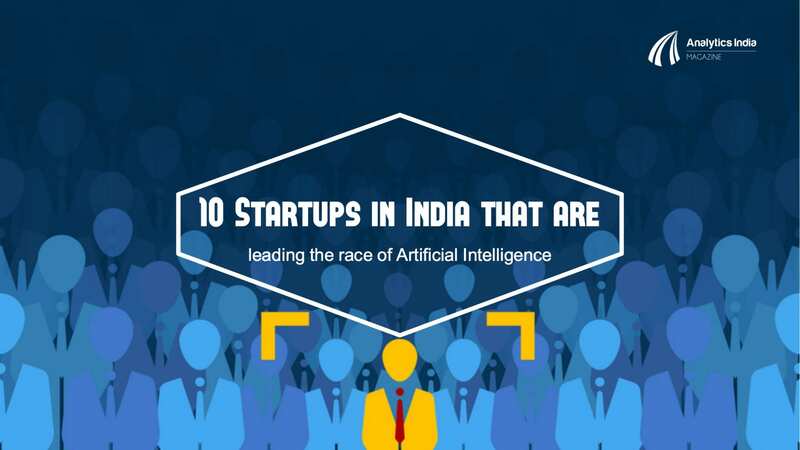 These startups come from different backgrounds, such as providing AI services to healthcare, banking, fintech, diagnostics and HR, among others. Over the years startups have been striving to bring unique propositions into the market, and the developments listed by these companies prove it. While there are over 300 startups in the space in India alone, we have picked up these 10 names for this year’s list. These startups are about two to three years old and have shown significant development over the years and are likely to do so in the year 2018. NOTE: These startups are listed in alphabetical order. Read our last year’s list here. Founded in September 2016, Artivatic Data Labs is an end-to-end AI infrastructure platform that is built on deep-tech, ML technologies with in-depth analogy of genomic science, psychology and neuroscience. It helps large enterprises, startups and developers to build and integrate intelligent products and solutions without any developmental efforts. It is enabling industries such as banking, insurance, lending, wealth management, manufacturing, healthcare, robotics to have ‘Smart AI Brain’ to make processes automated and allow self decision in real time. With over 25 in-house built products, which are currently utilised to build more than 10 industry solutions, the startup already has one patent filed in India and the US, and more than five patents already in the process. 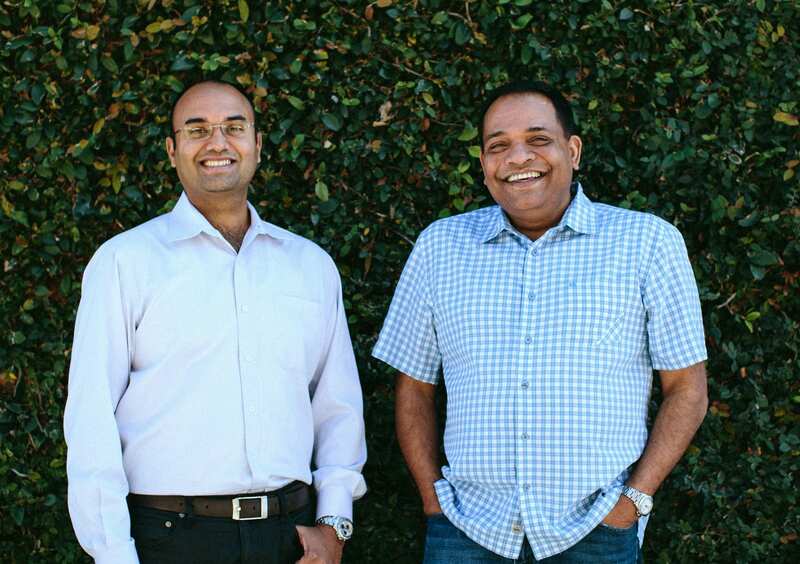 The Founding Team: Founded by Layak Singh and Puneet Tandon, the idea behind starting the company was to enable the enterprises to have human brain-like intelligent system, which has the power to make self decisions without any human intervention. They believed that decisions which are taken by humans using traditional analytics costs time, money and are often error-prone. With a team of over 30, they are trying to achieve the perfect AI brain. They have been funded with a total amount of $350,000 till now. Avaamo is a deep-learning software company that specialises in conversational AI interfaces to solve specific, high impact problems in the enterprise. Avaamo is building fundamental AI technology across a broad area of neural networks, speech synthesis and deep learning to make conversational computing for the enterprise a reality. Its proprietary AI algorithms combined with Deep Domain ML models learn and perform multi-turn conversations and execute judgment intensive tasks just like humans. It provides a cognitive technology driven platform that dramatically simplifies the time needed to design and deploy enterprise bots or virtual assistants to corporate employees and their customers. At the core of Avaamo’s platform is a secure messaging infrastructure that delivers scalability, reliability, security, and integration to legacy enterprise workflows and applications. 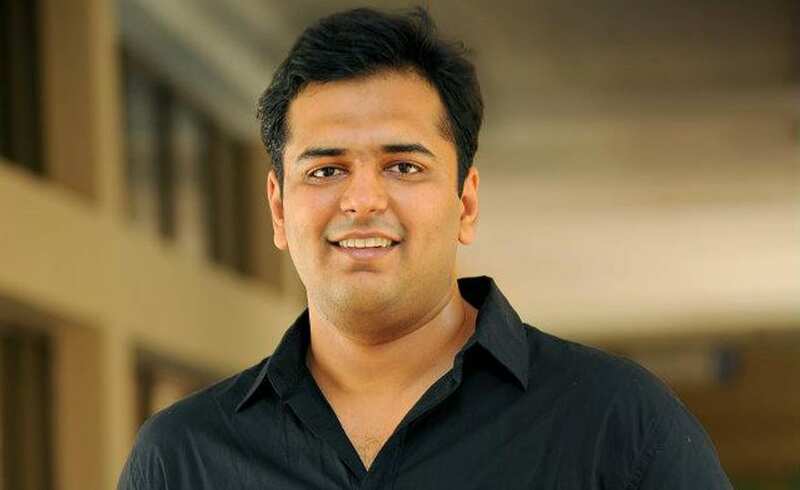 The Founding Team: It was founded by Sriram Chakravarthy (CTO) and Ram Menon (CEO). Avaamo’s conversational AI platform is currently being deployed globally across a diverse set of financial institutions, telcos, retailers and mutual funds including few of the oldest banks in US, Europe, and one of the biggest insurance firms in Asia, along with few big telecom service providers across the world. Since its inception in March 2017, Bash.ai has been automating HR processes and thereby helping in better and consistent employee experiences. It is essentially a tool that uses AI and big data to power virtual assistants and drive HR for businesses, by mimicking cognitive functions related to HR. Its user-friendly front end interface gives organisations a highly accurate and real time way to automate conversations with employees within an organisation. It can be accessed using instant messenger platform such as Facebook Messenger, Slack, Skype, and currently has modules such as post hire orientation, ticketing, HR helpdesk, employee engagement, organise HR activities and answer questions related to payslips, company policies, among others. They want to go towards an ecosystem where AI and humans coexist efficiently in the HR settings. The Founding Team: It was founded by Barkha Sharma, who has spent over eight years in HR. Having started with a team of three in the founder’s living room, it is now 12 people strong with engineers, product developers, and operations enablers working with HR processes of organisations. The founder believed that in a world of automation the functions of HR are a bit outdated, and her idea was to fill this technological gap. They raised first round of funding in October 2017. 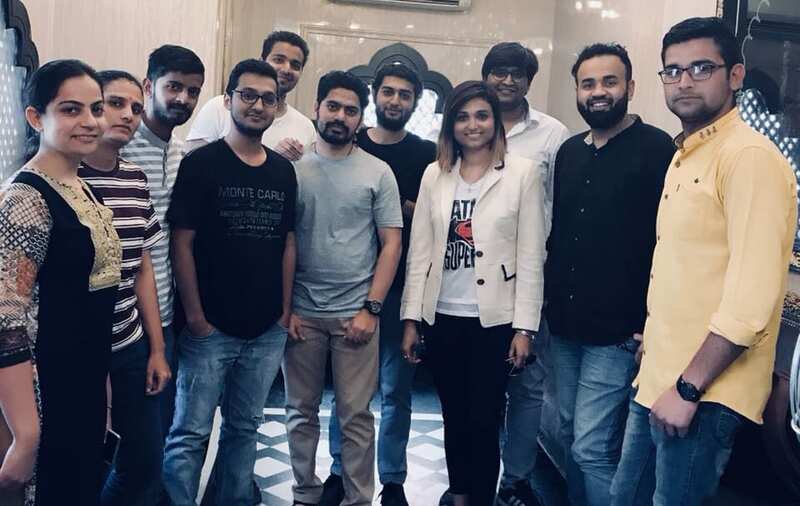 An a B2B SaaS customer success platform backed with $1 million in venture funding, CustomerSuccessBox is aimed at delivering proactive customer success. As the startup believes, customer churn is the biggest blocker of growth and it’s like trying to fill up a leaky bucket. Such businesses cannot continue to operate with the old reactive support model, this is where CSB comes into picture. As customer success is greatly enhanced by using AI and ML to understand customer on-boarding, product adoption and usage analysis, and calculating customer health score, CSB uses it extensively to facilitate the same. They processes millions of activities from 1,00,000 plus end users every week and its patent pending technology is built to handle over 2,200 events per second to monitor customer account health. It is being used by global clients like XebiaLabs, WizIQ, Synup and WoowUp to deliver consistent on-boarding experience. 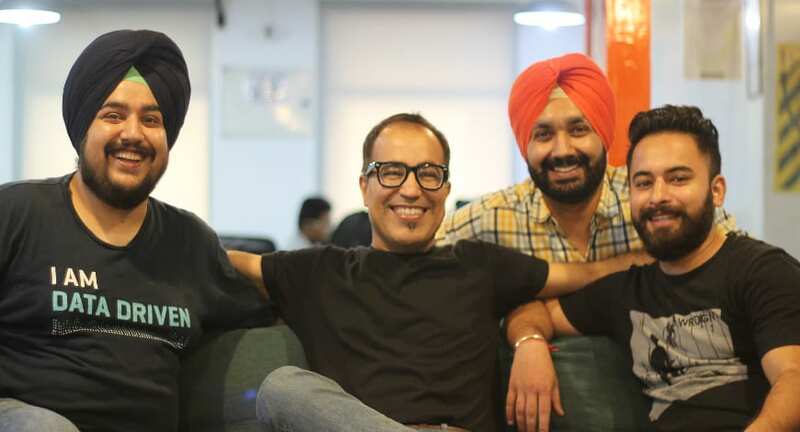 The Founding Team: It was founded by Puneet Kataria (CEO) and Amritpal Singh (CTO) and they have raised a pre Series A of $1 million led by pi Ventures with participation from Axilor Ventures. While Puneet was working as a VP of Sales at a SaaS company, he learnt that the secret of growth for a SaaS business is to keep and grow recurring revenue. This is when CSB was born, which is not just a technology platform but a way of running SaaS business. 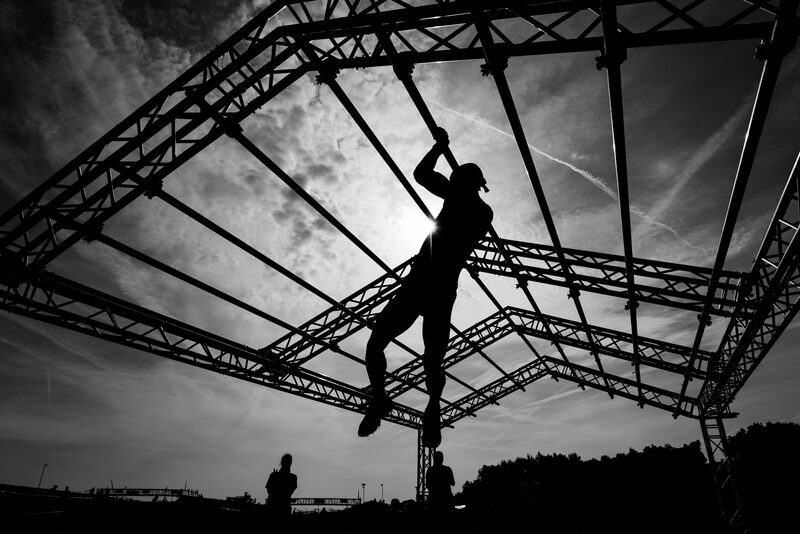 The startup aims to double its employee strength in the next couple of months. Founded towards the end of 2016, DiscoveryAI Platform enables conversational AI led Customer Success for any enterprise application. The founders believe that context-sensitive customer success is nearly missing in all comprehensive websites and apps used within enterprises. Businesses invest a lot of resources in creating and deploying these digital tools for various customer and employee facing processes. Discovery AI attempts to solve these problems are intrusive and raw in nature. They believe that availability of data and AI can fundamentally change the way we interact with the business systems. 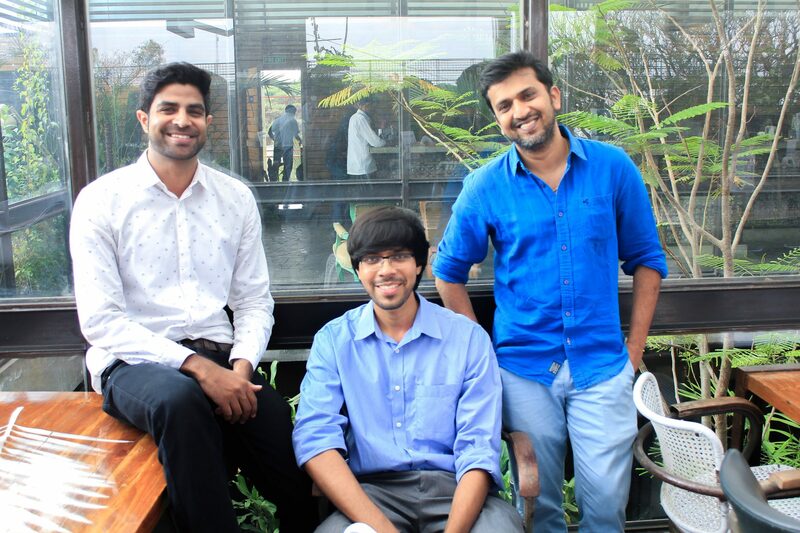 The Founding Team: It is founded by Prasanna, Sameer Acharya and Shubham Deshmukh. The trio were always intrigued by the fact that enterprise systems are not able to keep pace with the consumer-facing technologies and seamless user experience had to be brought. Currently a bootstrapped startup, they are looking to raise formal seed round in the next three to six months time. Originally named Skedool.it, My Ally aims to help the HR department be more strategic than tactical. When dealing with people it is critical to reduce the manual processes and automate the mundane and repetitive tasks. My Ally’s AI-powered assistant uses NLP and ML to automate interview coordination activities for the recruiters. The AI-powered recruitment coordinator improves time-to-offer, increases conversion rate, and optimises candidate experience by fully automating the scheduling and rescheduling of interviews with better-than-human speed and accuracy. My Ally solution presents a nearly immediate ROI for organisations both large and small who are looking to reduce time-to-fill and boost candidate conversion rate. They work with clients such as Cisco, Riot Games and Expedia, among others. The Founding Team: It was founded in 2015 by Deepti Yanireddy and Naveen Varma Alluri who were friends since IIT Madras days. The idea of launching My Ally originated during Deepti’s previous role of working as an investor. She realised that over 5-10 hours a week of her time was consumed in scheduling activities and so was the case with Naveen in his previous roles at Qualcomm and Samsung. Soon, after they launched Alex, My Ally’s AI-powered assistant, they realised the solution resonates better with recruiting professionals. With offices in the Bay Area and Los Angeles, they have 50 people managing product development, operations, customer success, marketing functions and much more. Including people in the US, the team size is 60. The startup is backed by Kludein LLC and an investor group including Phanindra Sama (redBus founder), Narayan Ramachandran (former country head of Morgan Stanley, India) and Pranav Pai, investing on behalf of Mohandas Pai among others. This Bengaluru-based deep tech startup provides breast cancer screening solution using AI. It is a non-contact, non-invasive, radiation-free method of detecting early stage breast cancer in women of all age groups. The core technology by the company called Thermalytix is a fusion of sophisticated ML algorithms over thermal images. The patented algorithms automate the process of analysing the 400,000 temperature values measured per person. Unique thermal patterns and image characteristics that are typically used by medical professionals while detecting cancer in other modalities like XRay or Ultrasound are also used to make the report accurate as well as understandable by the radiologist. 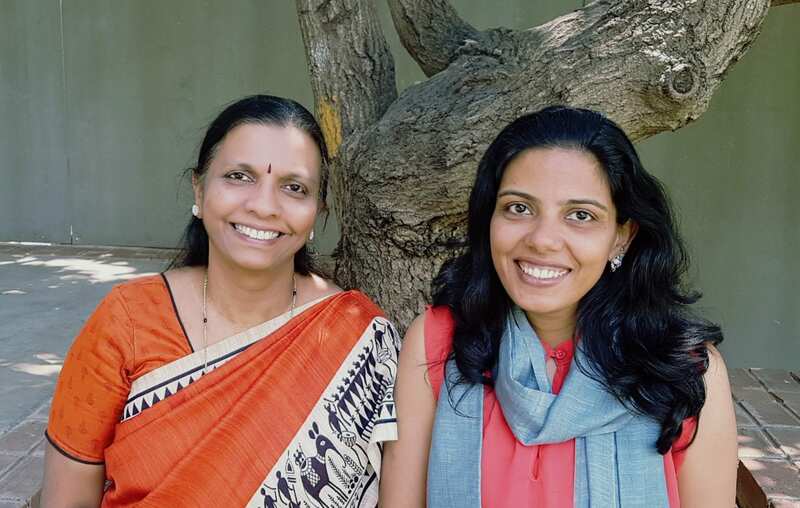 The Founding Team: It was founded by Geetha Manjunatha (CEO) and Nidhi Mathur (COO), after they saw their loved ones suffering with cancer in their family and felt deeply about solving this problem. This led to the creation of NIRAMAI, which in Sanskrit means being without diseases. It also expands to “Non-Invasive Risk Assessment through Machine Intelligence”. Rockmetric is a ‘Cognitive Data Analyst’ that delivers on-demand analysis and relevant insights through a Google-like Natural Language Search interface. It deliveries sophisticated analysis and ad-hoc queries at a scale instantly without having to expand reporting and analytics teams. It automatically understands user queries, analyses data and delivers beautiful charts, descriptive insights and complex analysis instantly. The platform builds an intelligence layer for decision makers and provides them with target-gap analysis, spike and dip analysis, business reviews and routine analysis to monitor their business and teams to scale. These insights are securely delivered with role-based access across channels like web, mobile, email, voice and other communication platforms. The Founding Team: It was founded in 2015, with an idea to create a simple Google-like engine for data and insights. Rockmetric aims to be the most intuitive intelligence layer for business leaders to monitor their businesses and teams. It was founded by Nimesh Mehta, who has consulted with organisations like The World Bank and National Skills Development Corporation. With an MBA from the Indian School of Business, he started his career as a management consultant with Deloitte in India. The startup has an employee strength of six and are currently bootstrapped. It is also a part of Zone Startups India. At Supertext.ai, they believe that communicating with a business or service can be and should be as easy as chatting with a friend — personalised, contextual and fun. Therefore they primarily focus to offer their clients the ability to integrate and add conversational intelligence to answer queries and build persona based virtual agents for Internal business processs automation and Automated front desk customer engagement . The chatbots are designed and developed on their custom AI platform with real-time data analytics, where they have the ability to create and pass tickets via ITSM to support team, have full visibility on bot responses, NLP (natural language processing) training and user interaction history. They build fully automated website chatbots, mobile chat applications and RPA( Robotic process automation) tools for internal business processess for clients across e-commerce, travel, media and fintech. Flipkart, ESPN and MSIG insurance are some of their clients. The Founding Team: It was founded in December 2015 by Avinash Hegde (director), Mathew J Padayatty (director) and Kamalkamman J. The founders realised that though local vendors were building entire businesses by merely chatting with their potential customers over WhatsApp or Facebook Messenger but struggled to scale as they were unable to continue servicing them or build required internal business processes. They wanted to try and solve this by automating business processes at a scale using forward-leaning technologies like Natural language processing and ML. They raised an angel funding from investors in Bengaluru and Singapore. The startup develops medical grade wearable with connected vitals monitoring platform and proprietary health analytics to enable predictive, proactive, and effective clinical decisions. It was founded with a clear vision to address the gap of patient monitoring outside ICU environments — such as responding to early warning signs of deterioration to reduce mortality. ten3T’s Cicer vitals monitoring platform monitors in real time to save lives. The Cicer patch has no lead wires, no disposable electrodes, does not require skin preparation, requires no specialised training, and can be applied as easily as a Band-Aid. An expanding suite of proprietary algorithms look for early signs of deterioration and detect specific clinical conditions, such as respiratory distress, heart rate variability, atrial fibrillation, and patient falls. An easy to interpret colour coded Early Warning Score (EWS) correlates vital signs and provides timely alerts to caregivers. An AI-based system also identifies subtle changes in longer term trends of patient vitals to enable predictive diagnostics. ten3T has commercialised a patent pending vitals monitoring system that is in use at multiple hospitals across Bengaluru. The Founding Team: It was founded in 2014 by a physician and two biomedical engineers with vast and varied experiences in the healthcare industry. The founders are Rahul Shingrani, a biomedical engineer who has worked for over 15 years in the US and India, Dr Sudhir Borgonha, MD, and Prasad Bhat, a biomedical engineer with significant leadership experience in developing and certifying medical devices. With a team of eight, their vision has been to save numerous lives by bringing advanced, predictive AI into the healthcare system. The founders have invested personal funds of $100,000 prior to raising a round of $250,000 from a group of investors in December 2016 that was led by pi Ventures.